Burnley led the Professional Development League just before Christmas and went into 2019 behind leaders Birmingham on goal difference, but two defeats in a week has now seen us drop six points behind new leaders Leeds. Leeds took advantage of both us and Birmingham falling to 1-0 defeats. We followed up the loss by the same scoreline against Sheffield Wednesday a week last Monday with Barnsley beating us 1-0 last Friday, two defeats in four days against teams in the bottom three. Birmingham were also surprise losers at Sheffield United yesterday and that enabled Leeds, who beat Crewe, to go three points clear at the top. A win would have seen them go above us while Bolton, winners against Sheffield Wednesday, are, like Crewe, now just one point behind us and they have two games in hand. In the other north group game played, bottom of the league Hull picked up another point in a 1-1 draw at Nottingham Forest although, with Barnsley’s win, they are now five points adrift. While Colchester, like Hull, are five points behind at the bottom of the south group, things aren’t quite as tight at the top. Ipswich won at Cardiff and have now taken their lead at the top to eight points with QPR having lost at Coventry. 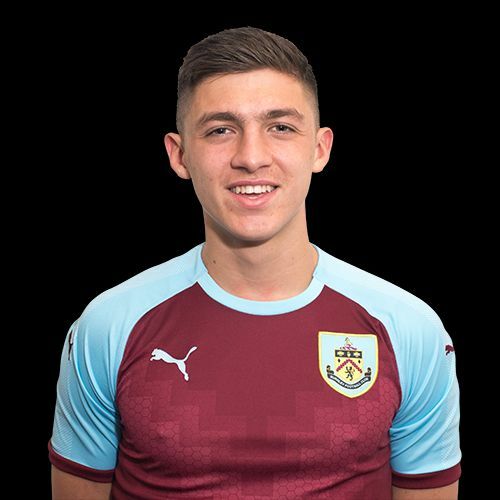 Back to us, and youth team central defender Bobby Thomas (pictured) made his under-23 debut at Barnsley and received wholesome praise from coach Steve Stone. He said of the 17-year-old: “He looked strong and commanded whatever he did. I had to keep on him to get high up the pitch, but he seems like he takes information on board. It’s cup action for the Clarets with only three league games being played as the Premier League Cup kicks in. We play the first of our three home games against Bournemouth this Friday at Curzon Ashton. Last week’s results, this week’s fixtures, the leading goalscorers in the league, our goalscorers and the current league tables are all below.